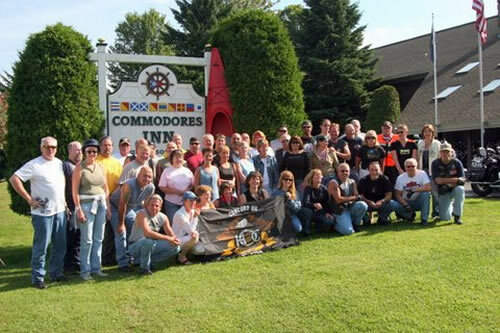 The Commodores Inn is located in the heart of Vermont. The Green Mountains and its foothills, fertile valleys, and lakes form an area of scenic splendor unequaled in New England, making Vermont a biker’s dream. You will travel over roads lined with Maple trees, sugar houses, and bedecked with an occasional covered bridge. You’ll meander through classic New England villages marked by their white steeple churches, through valleys scattered with farms, corn and cows. Ride along the shores of pristine alpine lakes and through spectacular gorges and dramatic mountain scenery. Riders can enjoy a multitude of experiences while exploring the wonders of this diverse landscape. We provide covered parking for motorcycles, and hoses and rags to clean your bikes after a long day.